The DSE officers election will be will be held on December 22, 2013 at the DSE General Meeting. This meeting will be held after the Mission Rock 5K run. We have another excellent slate of candidates and you may cast your verbal vote(s) at this meeting. With one person running for each position and the candidate list closed, a written ballot will not be provided this year. The candidates’ statements are on page 3 of the December Newsletter. We urge you to read the statements, attend the General Meeting, vote and support the officers in the upcoming year. A big thanks to the candidates for stepping forward. Charitable Donations, Special Olympics: The Board approved a donation of $1,000 this year for the Special Olympics. This is an increase of $200 over last year’s amount. The Board established a policy for the loan and rental of DSE race equipment. Each time equipment is loaned or rented it must be approved by the Board. The equipment will only be loaned or rented to current members and the equipment must remain in the custody of DSE members appointed by the Board that have been in good standing for at least six months. The Board may add additional requirements for each approval. The Board approved the rental of a time clock and one timer for a South San Francisco Catholic School event on November 23. George Sacco and Vince French will operate the equipment for this event. 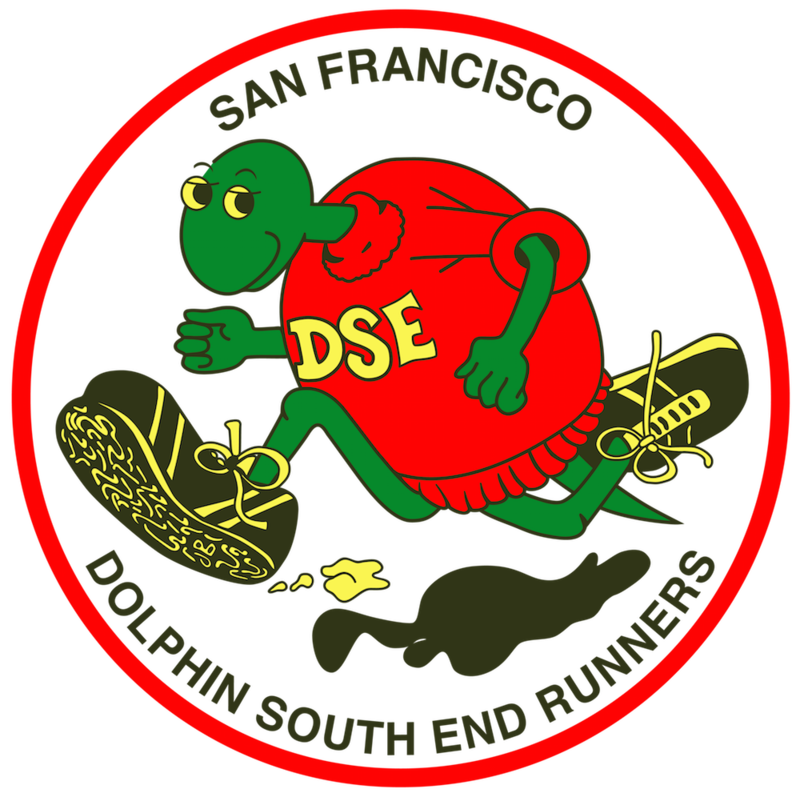 The Board set a policy for vendors at DSE Races (see Policies page) and finalized the formation of two standing committees: Emergency Management System (EMS) chaired by Brian Hartley, and Race Safety chaired by Jim Kauffold. Both of these committees have the mandate of improving the safety of our races. We closed the meeting with a brief discussion regarding the gala, the increase in postage rates that are scheduled for next year, and the essential volunteers that need to be in place at each of our races. Sunday 22 after the Mission Rock run. Don’t forget to vote; every vote counts. On August 12, the morning after the Brisbane Scenic 12K and 5K, I thought I was bitten by a bee. It turns out it wasn’t a bee. It was a severe case of Herpes Zoster, or shingles. Here is some information from the U.S. Department of Health and Human Services Centers for Disease Control (CDC) and Prevention, a flyer titled Shingles Vaccine — what you need to know. The flyer has six parts. Part 1 (what is shingles) which is quoted in part ,states, “Shingles is a painful skin rash, often with blisters. A shingles rash usually appears on one side of the face or body and lasts from 2 to 4 weeks.” My doctor told me shingles can and does often last several months. Part 2 (shingles vaccine) states, “A vaccine for shingles was licensed in 2006. In clinical trials, the vaccine reduced the risk of shingles by 50%. It can also reduce pain in people who still get shingles after being vaccinated. A single dose of shingles vaccine is recommended for adults 60 years of age and older.” The flyer also covers other information, in Part 3 (some people should not get shingles vaccine or should wait), Part 4 (what are the risks from shingles vaccine), Part 5 (what if there is a moderate or severe reaction and what should I do) and Part 6 (how can I learn more): “Call 1-800-232-4636 (1-800-CDC-INFO) or visit the CDC’S website at www.cdc.gov/ vaccines. Advice from a shingles survivor: If you notice that you have developed painful red rashes with blisters on one side of your body, don’t wait like I did, but see a doctor as soon as possible. Also, here is some advice I received from a shingles survivor I met in a health food store: drink lots of water and green tea; do not eat nuts, especially peanuts or peanut products; sleep at least one to two hours longer than you normally do; cut down on as much stress as possible. The advice worked for me. The hardest part was cutting down on stress. This was another successful year thus far for the DSE’s very popular Thursday Evening Summer Race Series. From its humble beginnings back in 2008 when we averaged 25 runners each week, the 2013 series averaged over 90 runners each week. The fastest time run on the course this season was by William Chen, an amazing 22:54 (5:05 pace) run on Week #12. Fastest time by a female was run by Liz Gottlieb (28:11, 6:15 pace) also on Week #12. We had a total of 12 runners who participated in all 12 of the races. They were: Cristian Alvarez, David Wilson, Greg Brown, Juan Melendez, Lidia deLeon, Marcial Saavedra, Mark Mooney, Michael Peters, Silvia Salazar, Tim Comay, William McCarty, and Wynn Norona. Many thanks to the great volunteers who helped out so much this summer. They include Bobby Marty, Sandy Baumgarten, Gene French, Mark Mooney, Caron Anderson, Pauline Dake, George Sacco, Denise Leo, Ed Baumgarten, and others. This was a very difficult year for me personally to put on these races as my mother was terminally ill and passed away a few days before the final race, so I appreciate everyone who helped out when needed. The Summer Race Series will return for its seventh year on Thursday, June 5, 2014. After six years as the primary Race Director, I will be taking a few steps back from these duties and will only be directing six of the races. We are looking actively for volunteers to take on the remaining six races. If you can direct one or more of these, please contact me at jLnissenson@aol.com. You will receive the same two hours of volunteer credit as you would by directing a Sunday race, and will also be credited with ten points in your age division (for the summer series races).